I had a wonderful time at a scrapping retreat last weekend. We had lots of laughs, I met some lovely ladies, we had some great food and best of all I managed to scrap seven layouts and finish a mini album. As an added bonus, it was reasonably local so I could bring as much stuff as I liked! 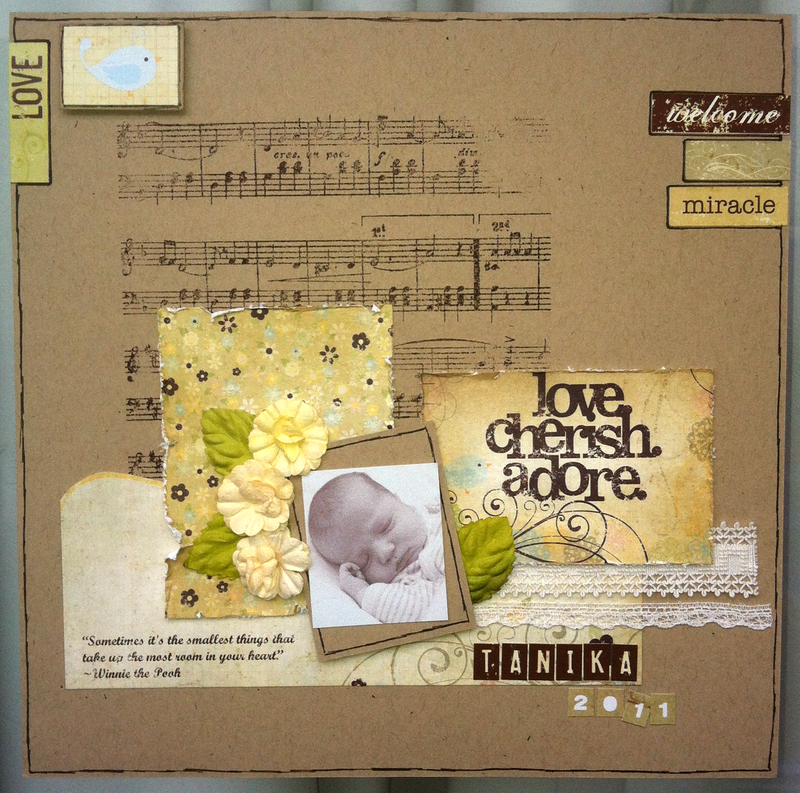 It's been a while since I have entered any LO but here is my entry for Scrap the Girls. The criteria this time was black, white and green. And a couple of others from challenges at the retreat. I played with lots of techniques on this one, texture paste, stamping,distressing, misting. Thanks for the inspiration girls. Thanks for stopping by, I'll be back soon with the rest of my pages. I have been busy sewing too but I cant share yet as most of it is for christmas presents. I have been slowely working through my stash and up-cycling my op-shop finds and have managed to resist the urge to buy any new fabrics ages :) Now I'll just have to remember to take pics before I give them all away! Firstly some exciting news from Scrapjacked. Our wonderful Bec Miller has handed over the reins to the talented Naomi Cox. Thank you Bec for your inspiration and for doing such a great job running the site. 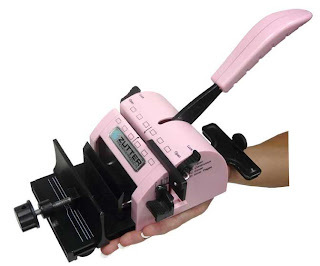 Naomi has already been busy putting her own stamp on things so come on over and check out the new look Scrapjacked and play along to win some great prizes. There are some of the same DT still around as well as some new faces. 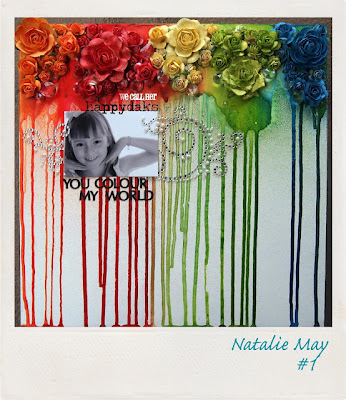 This month we are taking of inspiration from this colorful layout by Natalie May. I love all of the brightly coloured flowers that Natalie has used and took my cue from them when I scrapped my young niece. I also liked using one small photo. Naomi also been busy busy busy setting up a card challenge to run along side scrapjacked so make sure to pop in and look around. I am counting the days until next month when I am heading of for a weekend of crafting, chatting and laughter next with girlfriends, I can't wait! 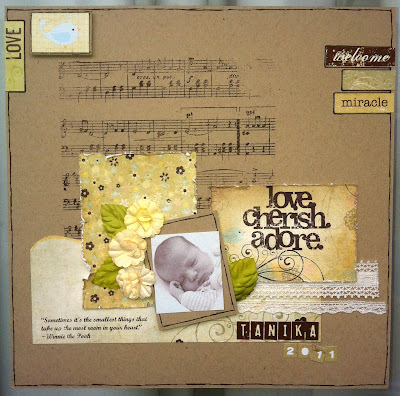 It's that time again and the DT have some wonderful LO to share with you, so pop over to Scrap Jacked to check out the challenge for this month to be in the running for some great prizes. And my LO this month? I have gone shabby with this picture of my cutie. I can't wait to see your take on this months inspiration.